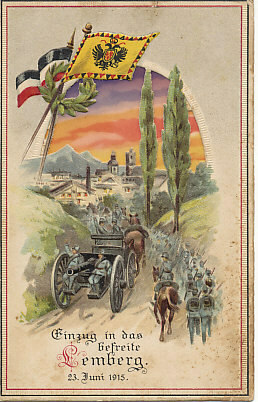 Embossed, hold-to-light postcard celebrating the recapture of Lemberg (Lvov), Austria-Hungary by German and Austro-Hungarian Troops. Lemberg fell on June 22, 1915. The combined armies entered the next day. Einzug in das befreite Lemberg. 23. Juni 1915. Moving into liberated Lemberg, June 23, 1915. 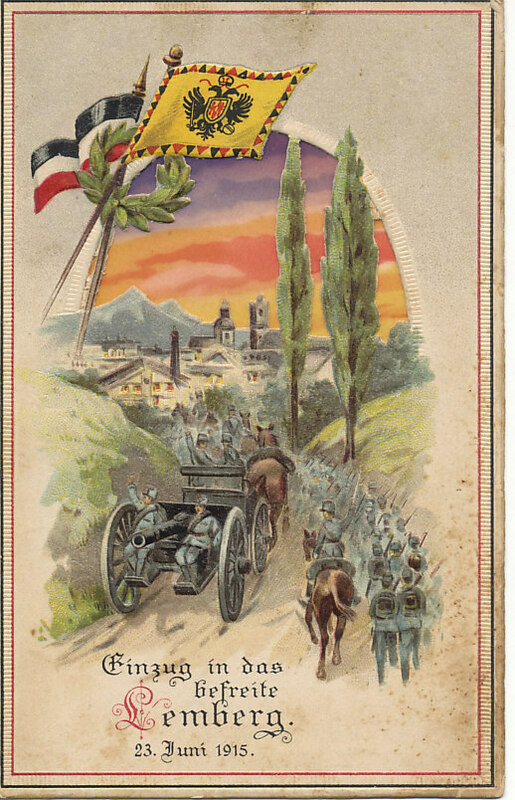 The First Battle of the Isonzo began June 23, 1915 with an attack by the Italian Second and Third armies - 460,000 men in total - against Austrians under Archduke Eugen. Through the rest of the month and into July, the opponents staged a series of attacks and counter-attacks. In the First Battle, Italy suffered 15,000 casualties. 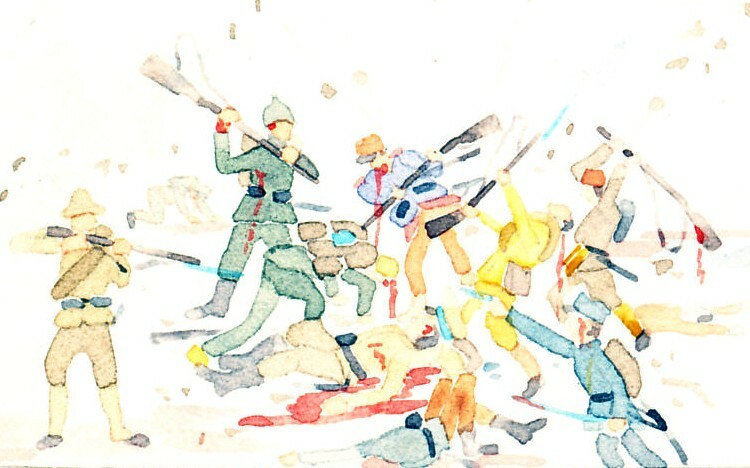 There would be twelve Battles of the Isonzo River.